Gentlemen is there a such thing as having too many white shirts? Well, let me answer that question for you by saying no. However, there is something called the perfect white shirt. As a man it's absolutely imperative that whenever you are wearing a white shirt that it's very well tailored, crisp and clean. With that in mind, here are a just few rules as well as guidelines that one must always follow. Rule No. 1 - Never wear the same white shirt over and over again. It leads to wear and tear as well as a yellow ring around the neckline. Rule No. 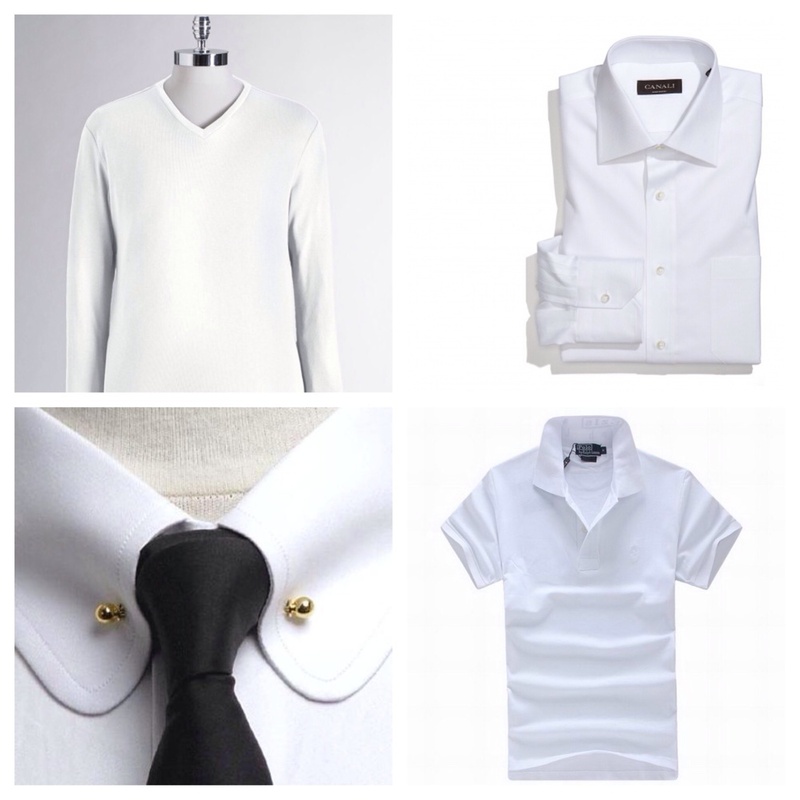 2 - When shopping for a white shirt always make it a goal to purchase two or three if it's in your budget. This is a good way to build your collection and rotate them out. Rule No. 3 - Always make sure it's the perfect fit. When in doubt, ask the sales specialist to show you options and measure your neck, chest and arm length. Rule No. 4 - Take note of the texture, fabrication and fiber content. This is a very key element because there is nothing worse than a cheap looking shirt. Also, it doesn't feel so nice against the skin. Rule No. 5 - Always know what type of white shirt to shop for. This means dress for the occasion. It doesn't matter if its a polo shirt, dress shirt, camp shirt, rugby shirt, poet shirt, henley shirt or t-shirt. Gentlemen if you follow these rules and guidelines you will be considered the most stylish MAVERICK Man wherever you go...I Say Yes!